Broccoli is a cruciferous vegetable, capable of irradiating cells from your body that would otherwise become cancerous. It is a vegetable among others in its class that stimulates the lymphatic system to detox your body as well. As for garlic, it’s your digestive aid, antibacterial, and anti-inflammation friend. If you don’t like garlic, maybe you should get to know it better, because it fights off cancer as well. 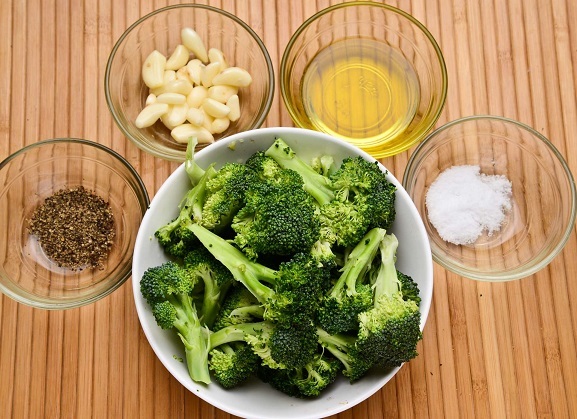 Let’s get started with our featured recipe: Baked Garlic and Broccoli. 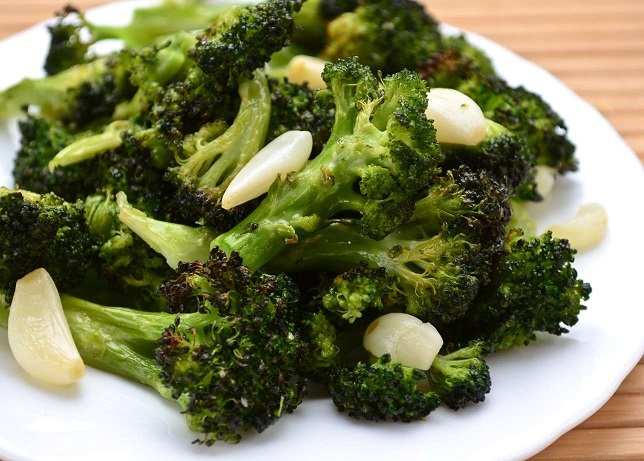 It’s a very simple and tasty recipe, as well as a nice way to enjoy broccoli with the pure flavor of fresh garlic. Here are the few ingredients you will need. This recipe makes two (2) servings. Double it to serve four (4) servings or triple it to serve six (6). 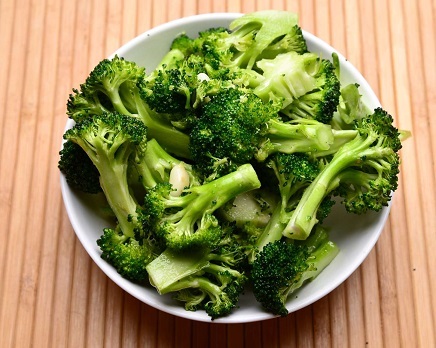 Marinate the broccoli florets for 30 minutes with the olive oil and salt, so that they become tender. Preheat the oven to 350 F for 5 minutes. 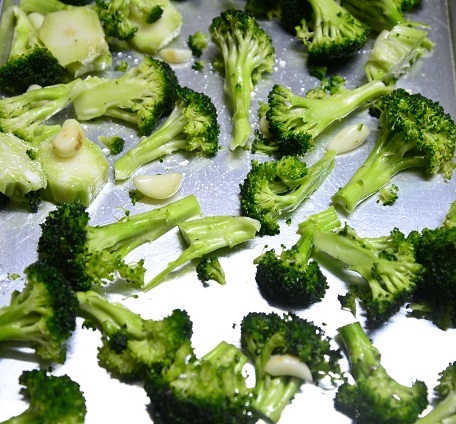 Spread out evenly the broccoli florets and garlic cloves onto a baking sheet. Place the baking sheet in the oven, and bake for 10 minutes. Toss the broccoli and garlic, then continue to bake for for another 10-15 minutes or until broccoli browned a little but not burnt. Remove from oven and let cool about 3 to 5 minutes. Place into a serving bowl, and make it a side with your favorite meat dish. If you wish you can add other vegetables to the baking sheet, like carrots or zucchini. Enjoy! From Scalp to Scalpel? Ask Your Shampoo Pro! This entry was posted in Side Dish and tagged Body weight, Broccoli, cancer, Casserole, cruciferous vegetable, Diet (nutrition), Eating, Food, Garlic, lymphatic system, marinate, Nutrition, Olive oil, Side dish, Trans fat, vegetable side dish. Bookmark the permalink. My favorite way to prepare broccoli. Takes so much better cooked in the oven. I agree Jovina. Thanks for stopping by and have a great weekend!! I haven’t baked broccoli in the longest time; I usually steam it. I will have to give this a whirl! I hope you enjoy it. When you make it, let us know what you think of the recipe. Thanks for stopping by and for leaving your comment. Have a great rest of the week and the weekend ahead! !